Bring soft illumination and classic style to any area of your home with this Festive Antique Glass Votive Set. 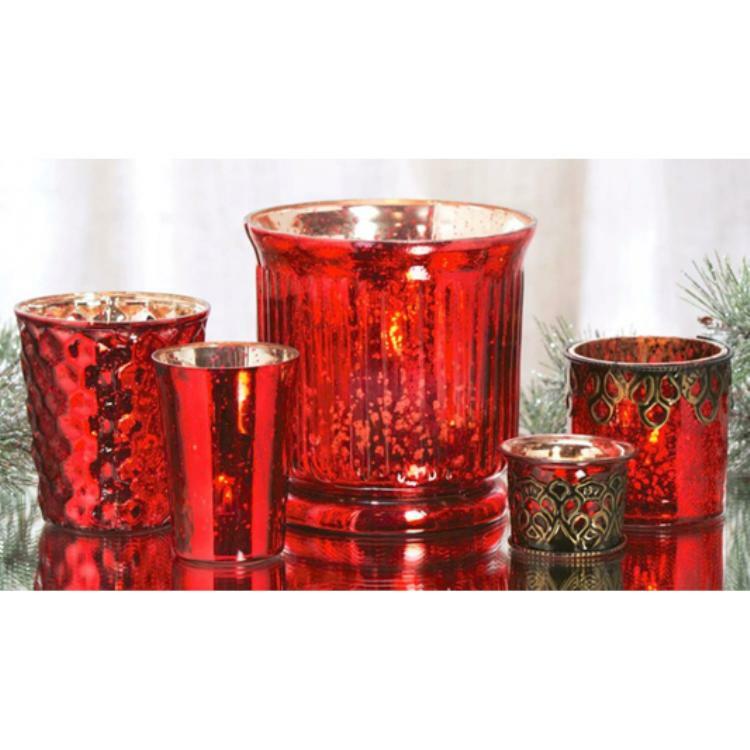 Decorative collection features 5 deep red votive holders in assorted sizes. The candleholders add a touch of color and warmth to any living room, dining room or foyer. Measures: 2.5"d x 1.875"; 3"d x 2.875"; 2.5"d x 3.25"; 3.5"d x 4"; 5.375"d x 5.375"